Oakland has a pretty serious rodent problem, around its parks, homeless encampments and even City Hall. And one councilman has had enough. There are at least 20 large rat traps filled with poison in key spots around Frank H. Ogawa Plaza, but Councilman Noel Gallo says the traps aren't enough to rectify the problem. And he wasn't afraid to get his own hands dirty. "This is like the 12th rat we picked up this morning," Gallo said in a Facebook video Sunday while holding up a rodent. "He’s still alive, you can see him jumping. I’m going to take him to City Hall for the council to enjoy him." Gallo spent his Sunday morning cleaning up what’s left behind of a homeless encampment. There were needles and abandoned appliances. But it's the furry critters that pose the biggest threat. 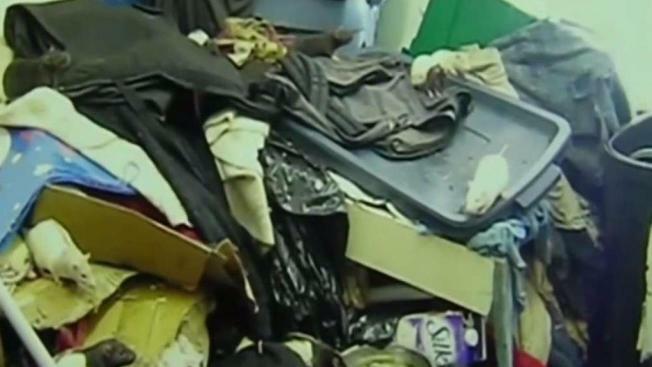 Alameda County Vector Control says it’s hard to tally the number of rats in Oakland, but workers have found rats that carry fleas, mites and even spread salmonella among the homeless. "It’s mainly in the parks where you see them," resident Maggie Alcaraz said. "Or wherever there is garbage that is being thrown on the streets." Gallo’s solution: Hire litter enforcement officers to track down people who are illegally dumping. "I can pick up all the trash and so forth, but unless I have someone that is going to come pick up the trash, see who it belongs to, come to your home, find you, cite you, it’s not going to change," Gallo said. Gallo predicts it will cost the city millions of dollars to hire the personnel. Vector Control officials say they haven’t found any cases of rats in Oakland carrying contagious diseases. But they say a major issue they face is making sure the rat poison they use does not harm homeless people or their pets.